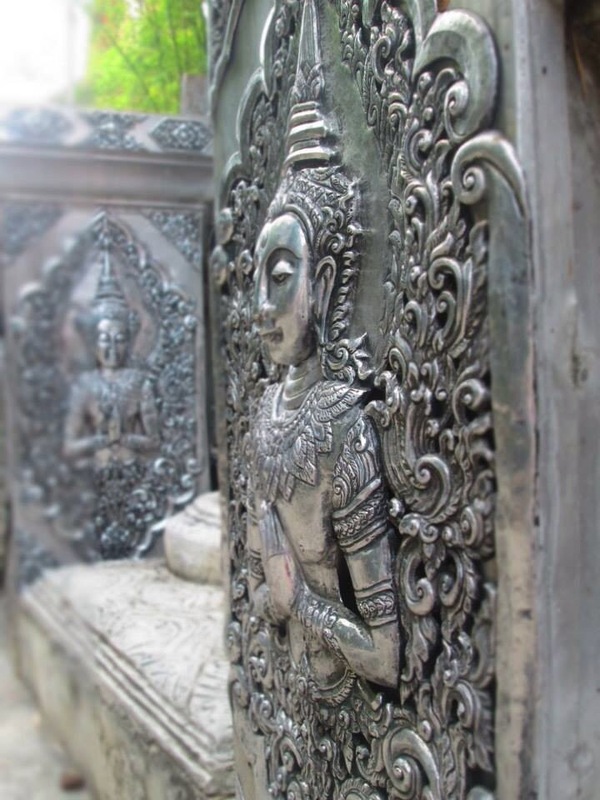 Our next destination was Chiang Mai, the ancient capital of Thailand. We got an over night train which we were on for almost 20 hours. The train journey was long and scary, at points it was rattling so much. It was definitely an interesting experience. We also met another couple from the USA who had been living in New Zealand for the last year so it was cool to talk to them and share stories. During our conversation they recommended us an island in Thailand that we had never heard of, Koh Yao Noi. We decided when we got south we would try it out. 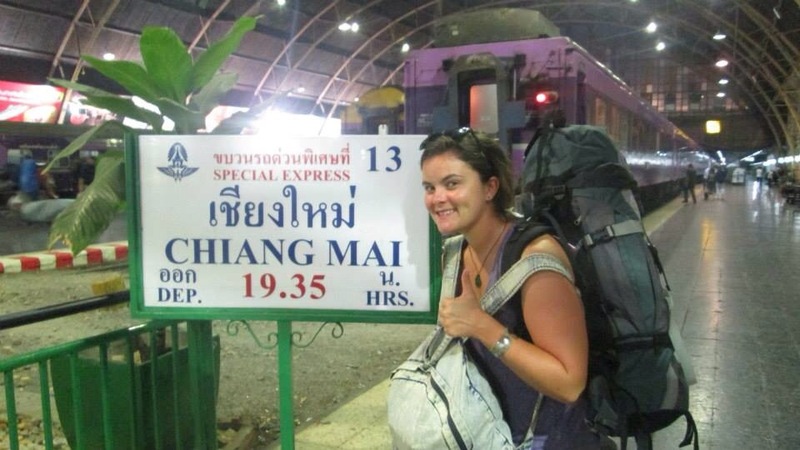 We arrived in Chiang Mai about midday. I had been recommended a guesthouse by a friend called “Funky monkey” so we decided to stay there. I’m so glad we did, a Thai woman and her English partner owned it and they were so helpful. As soon as we got there they sat us down and gave us a map and told us the best places to see/eat etc. Very useful when you have no idea where you are. That day we explored the city and were fortunate to have got there on a Sunday which is when the huge night markets are on. We spent hours walking up and down the stalls, trying new street food and watching dance performances from the local kids dance school. The markets were incredible, many Thais from all over, even as far as Phuket came to them as the merchandise was the cheapest. 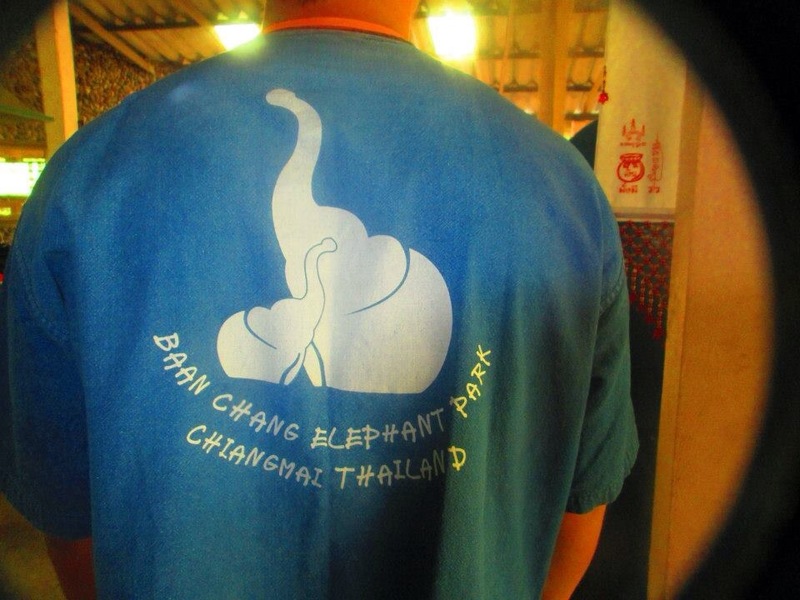 The next day we booked to go to Baan Chang elephant sanctuary, and what an amazing experience that was! 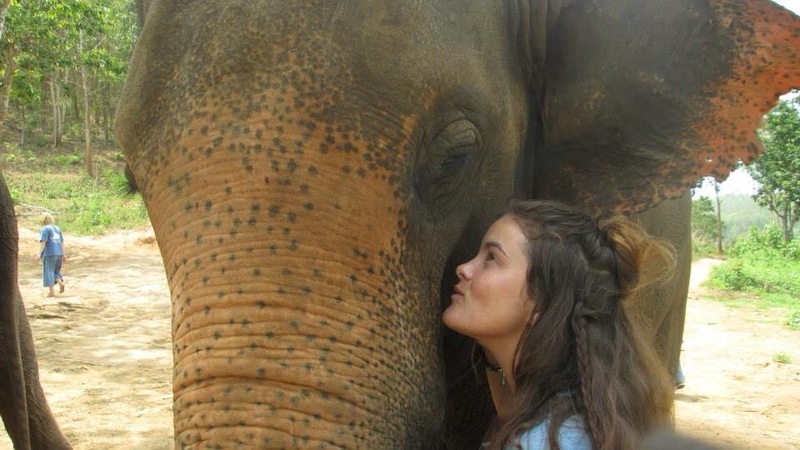 I was a bit wary as I had come to Thailand 2 years ago and was in Koh Samui, we wanted to see elephants but were taken to a place where the elephants weren’t treated with much care. 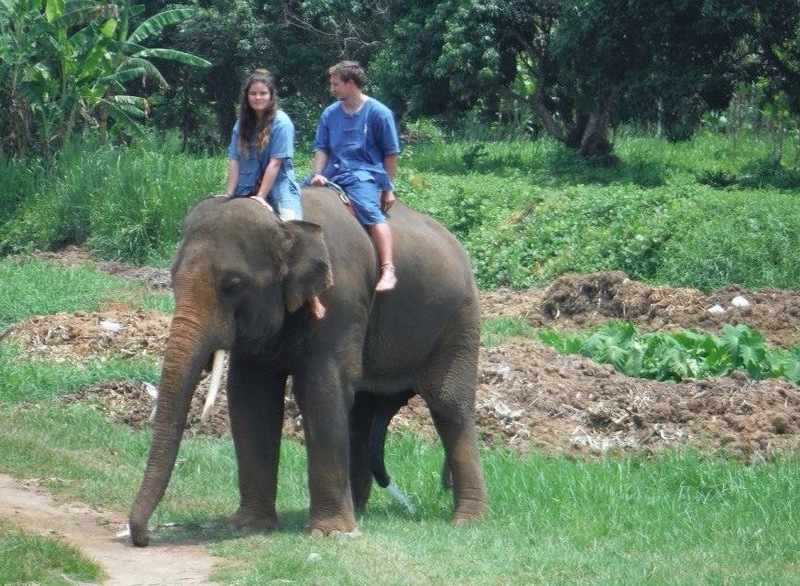 We were also treated like cattle, we got there, sat on the elephant (not actually on him, but on a very uncomfortable chair) and walked around for 15 mins then got off. 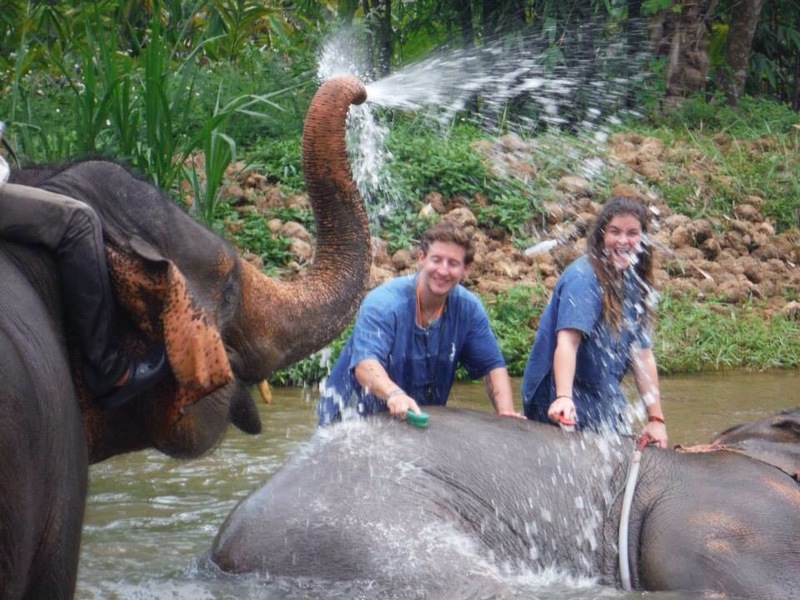 It wasn’t a great experience and it was obvious it was a big money-making attraction that resulted in the elephants being taken advantage of. However, Baan Chang was totally different. We arrived and as soon as we stepped off the bus there were at least 20 elephants in front of us preparing for feeding time. It was incredible! The staff there were very friendly and taught us a lot about the elephants and their different behaviours. We were given a big basket full of bananas and sugar cane and went around feeding all the elephants. Each elephant has its own individual carer called a ‘mahout’ who give up their life purely to be with the elephant. It was a truly amazing experience and I would highly recommend everyone to do it, it was and still is one of the best days of my life I wish I stayed another day there. The final day in Chiang Mai we booked a tour to take us up the mountains to Doi Inthanon national park, here stand two large Chedi, which were built to honour the King and Queen of Thailand on their 60th Birthdays. They are remarkable and its so high up, there is a mist all around you as if you are up in the clouds. On the day we visited, the Queen’s temple actually had all scaffolding around it as I presume it was being renovated or fixed. Therefore we were unable to get a good shot of it as it didn’t look impressive with all that around it. 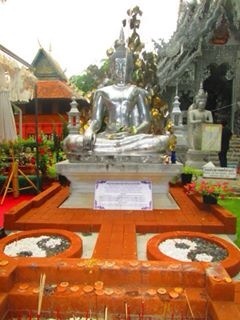 I’m glad we got to see some wonderful sights of Chiang Mai and I would love to go back and visit more of the city. It is a truly impressive place, a city like no other!